MICA realizes that real estate agents and lenders sometimes seem to speak another language. Here are some key words and definitions that will help you throughout the home-buying process. Adjustable Rate Mortgage (ARM) — A mortgage that permits the lender to adjust the interest rate it charges periodically on the basis of changes in a specified index. Appraisal — A very-detailed valuation of your home conducted by a licensed professional. Appraised Value — The fair market value an appraiser assigns to a particular property, based on his knowledge, experience, and analysis of the property in question, and the market conditions in the area. Appreciation — The term given to an increase in the value of a particular property. Assessed Value — The value a public tax assessor assigns to a particular piece of real property for purposes of assessing the taxes owed by the property owner. Balloon Payment — The final lump sum payment made at the maturity date of a balloon mortgage. BPO — Broker’s Price Opinion — A less-detailed appraisal, also performed by a licensed professional. Closing — Also called a settlement, it’s the meeting at which sale of a property is finalized with the buyer signing the mortgage documents and paying closing costs. CMA — Comparative Market Analysis — A property value established for listing a home for sale based on comparative prices evaluated by a licensed professional. Contingency reserve structure — refers to the system of regulations under which the private mortgage insurance industry is required to set aside money to cover losses from defaults on home mortgages they insure. Default — The failure to make mortgage payments on a timely basis or to fulfill other mortgage requirements. Down payment — The cash that a buyer puts down to buy a home and does not finance with a mortgage. Equity — The difference between the current value of the property and the balance due on your mortgage. Fannie Mae/Freddie Mac — (Government Sponsered Enterprises) — Mortgage investors created by the government to support the secondary market in mortgages on residential properties with mortgage purchase and securitization programs. By purchasing mortgages, these entities provide lenders with cash to make additional loans. Federal Housing Administration (FHA) — An agency of the U.S. Department of Housing and Urban Development (HUD). It insures residential mortgage loans made by private lenders. 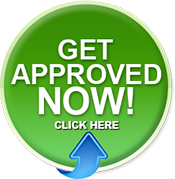 FHA Mortgage — A mortgage that is insured by the Federal Housing Administration. Foreclosure — The legal process by which a borrower in default under a mortgage is deprived of his or her interest in the mortgaged property, usually through a forced sale of the property at public auction. The money from the property’s sale is applied to the mortgage debt. GSE — Government Sponsored Enterprise such as Fannie Mae or Freddie Mac. Home Mortgage — A legal document that pledges the property to the lender as security for payment of a debt. Insured Mortgage — A mortgage that is protected by the Federal Housing Administration (FHA) or by private mortgage insurance (PrivateMI). If the borrower defaults on the loan, the insurer must pay the lender the lesser of the loss incurred or the insured amount. Investor — the ultimate owner of a loan. This can be the institution that originated the loan (then the loan is held in their portfolio), another large lender or Fannie Mae or Freddie Mac. Lender — The bank, mortgage company or mortgage broker that makes the home loan. LTV ratio — The ratio of the amount of the loan to the appraised value or sales price (whichever is less), expressed as a percentage. Mortgage Insurance — A contract that insures the lender against loss caused by a mortgagor’s default on a mortgage. Mortgage insurance issued by a private company is called PrivateMI. Mortgage insurance can also be issued by a government agency like the FHA. Mortgagee — The lender in a mortgage agreement. Mortgagor — The borrower in a mortgage agreement. Original Value — Lesser of the sales price or the appraised value of the property at the time of closing. Piggyback Loan — A loan in which the buyer takes a first mortgage to finance part of the value of the property and a second mortgage to finance another part of the value. For example, a buyer could put 10% down, then take out a first mortgage for 80% of the home’s value and second mortgage for the remaining 10% of its value. The two mortgages together are called a piggyback loan. Principal — the part of the monthly payment that reduces the remaining balance of the mortgage. Private Mortgage Insurance (PrivateMI) — mortgage insurance that is provided by a private mortgage insurance company to protect lenders against loss if a borrower defaults. Allows a buyer to put down as little as 3 to 5% — and even less for qualified borrowers — instead of the 20% usually required by lenders, permitting a buyer to move in sooner and avoid years of saving up for a home. Most lenders generally require PrivateMI for a loan with a loan-to-value (LTV) percentage in excess of 80 percent. Secondary Mortgage Market — The buying and selling of existing mortgages. Servicer — The entity responsible for administering your loan. This includes sending coupons/invoices, collecting payments, escrow administration, collections and foreclosures. Underwriting — The process of evaluating a loan application to determine the risk involved for the lender. Underwriting involves an analysis of the borrower’s creditworthiness and the property itself. I love the layout of your blog. Obviously you have a very valid point, however I can’t get over how great the site design is. Tremendous issues here. I’m very happy to look your article. Thanks so much and I’m having a look ahead to touch you.